...it was hard to tell, but then I saw it's suction cups!...this is the second time in about a month we have seen a Steller eating an octopus! 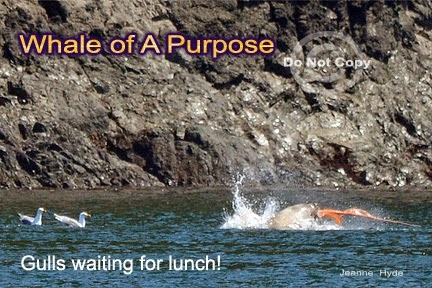 ...while out on the water today we saw another animal who uses his head...it's Tucker the whale poop sniffing dog! He uses his nose! ...Tucker got to work today and found 4 samples! 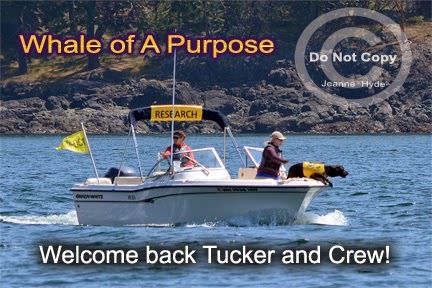 Link to Conservation Canines to learn more about their work. ...and then...and then...the L12s began to 'talk' - OH, MY, GOODNESS - the L12s are here!!! 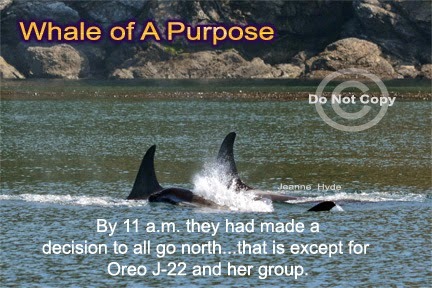 Yikes!...and I heard way to many J pod calls for it to have just been the 4 whales in Oreo's group...I bet they brought the other two groups of J pod whales, the J11s and J17s, in with them!...I can hardly wait until tomorrow to find out! 6-20-14 Whales From Sun Up to Sun Down! 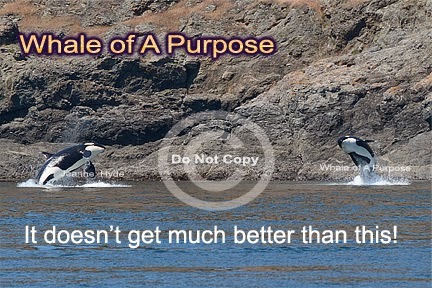 6-19-14 L Pod Whales Arrive! 6/17-18/14 All Grouped Up Just For the Sea Plane! 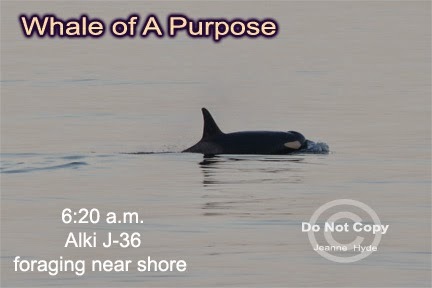 6-16-14 J Pod - All Present and Accounted For! 6-15-14 And What A Whale Day It Was! 6-13-14 A Rock and Roll Sea Day! 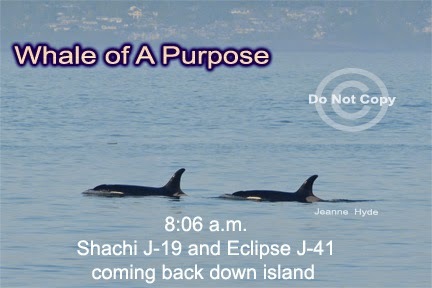 6-12-14 I Love Watching J Pod Be J Pod! 6-11-14 J-22 and Family Are Where? 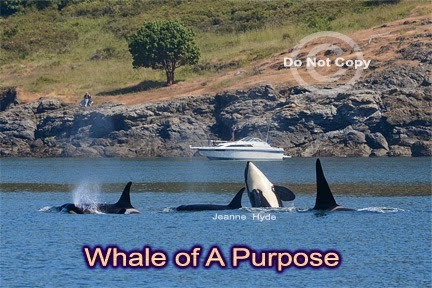 6-10-14 I Love Watching Whales Doing Nothing! 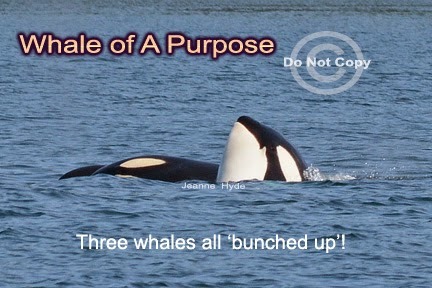 6-4-14 Which Whales Were Present Today? 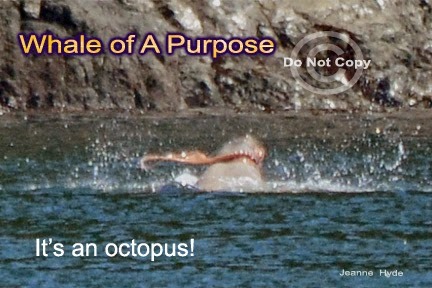 6-3-14 A Whale of A Socializing Day!